Run Wales will shortly be launching ‘Step into Action’, a social walk-to-run group in partnership with Diabetes UK Cymru, aimed at encouraging people with diabetes to get active. In the first of our ‘Focus on Diabetes’ articles, Run Wales talks to three runners with type 1 diabetes about their running journey. Thomas was 27 years old when he was unexpectedly diagnosed with type 1 diabetes, and he’s been living with the condition for 6 years. He first took up running in January 2016, with an ambitious target of running the London Marathon the following year. Thomas is well aware of the challenges that runners with type 1 diabetes face and says, “The biggest challenge for any diabetic is getting that initial confidence to get out the door and run, believing that you will be fine and that you can run!” As Thomas has found, support from family and friends can be invaluable. Make sure you have the same breakfast/meal before any run so you can pretty much guarantee your sugar levels while you are out running, and practice, practice, practice your nutrition during your run. When it works, don’t change it! 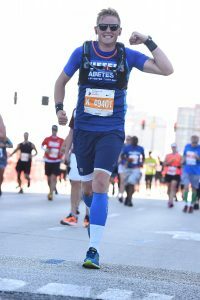 In April, Thomas takes on the 123rd Boston Marathon, the last of the six Abbott World Marathons he has left to complete, proving that pretty much anything is possible with diabetes. Go smash it, Thomas! Our thanks to author and established medical communicator, Philippa Cates, for speaking to Gareth and writing this blog. 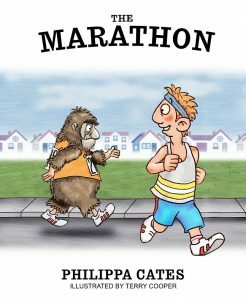 Philippa Cates is no stranger to the mental and physical challenges of running and has written a book about this wonderfully exhausting pastime. The Marathon celebrates this fantastic achievement but also highlights in a comedic way the potential pitfalls of taking part. Her book is available to buy here.